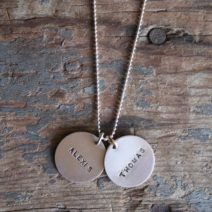 the arcadia comes with 1 small 1/2″ sterling silver charm and a 16″ sterling silver cable chain. 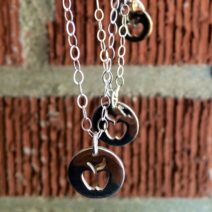 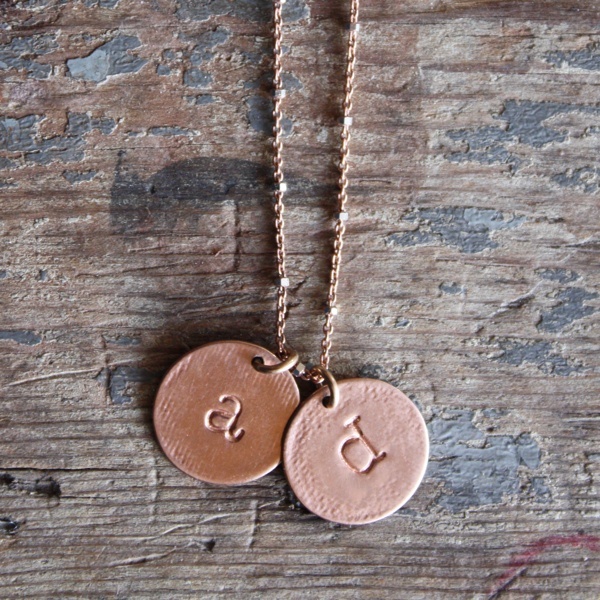 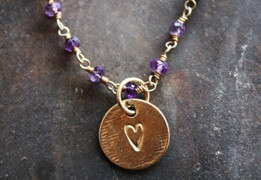 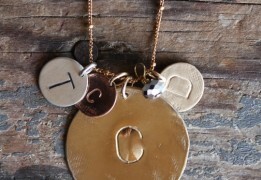 this is a super sweet necklace where you can inscribe names or initials to make it personal. 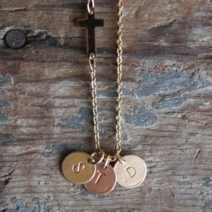 going back in history, this was my second necklace where i started doing initials. 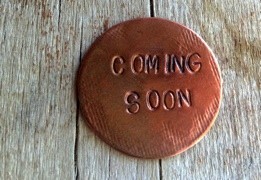 this is a shout out to all my arcadia customers that always keep me moving on trend! 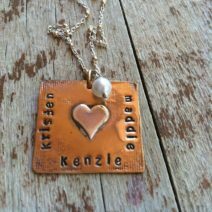 it makes a great gift for any holiday or occasion. 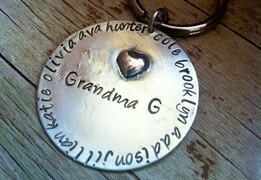 add birthstones or charms to memorialize the occasion!